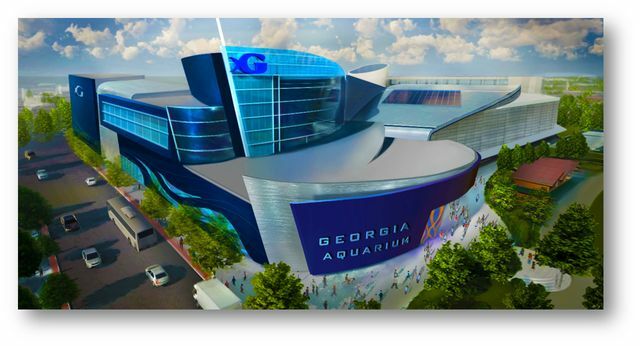 MARCH 20, 2018 (ATLANTA) – The largest aquarium in the United States is getting bigger. Georgia Aquarium revealed expansion plans today for a new gallery featuring sharks—one of the most misunderstood species in the ocean—to open in late fall of 2020. An extension of the Aquarium’s conservation and education efforts, the new experience will help guests have a deeper appreciation for the important role sharks serve in the oceans and inspire them to join conservation efforts to protect our oceans. For renderings of the new entrance, please click here. For renderings of the new gallery, please click here. For Georgia Aquarium b-roll, please click here.